Vinayak is an ISO 9001:2008 company engaged in design , development , manufacturing , marketing and servicing a complete of Asphalt plants. We specialize in the design, engineering, manufacture and maintenance of range of asphalt, aggregate and equipment used to build and restore the world infrastructure. Over 350 no. of machine was supplied all over India as well as abroad. All road construction and equipment are manufactured as per M. O. R. T. H (Ministry of Road Transport and Highway) specification in India. Our Company work in a joint efforts with safety norms so as to offer a defensive situation for our specialists and along to these lines to address ordinary difficulties related with work and details of our customers. We bring the most advanced latest technology is helped by excellent support from our expert to fabricate great quality of products. Every stage is monitored from R & D to design and customization. In addition to Vinayak manufacture of road construction equipment has services to various countries across the world like India, Afghanistan, Butan, Sri Lanka, Iraq , Nigeria, Kenya , Mozambique , Oman, Yemen , Saudi Arabia , Algeria many more and has associates headquarter in Ahmedabad, Gujarat. Vinayak is an ISO 9001-2008 certified company established at Ahmedabad, Gujarat, India. Through general investigation and focus consolidated with innovative advance technology company has involved special position in each customer brain by making quality items as we realize that quality is a regular procedure. Vinayak is not just required in Asphalt plants solid plants but at the same time is master in new development and customization proposed by our important customer because after all advancement and production of something new is the essential marks towards uniqueness. 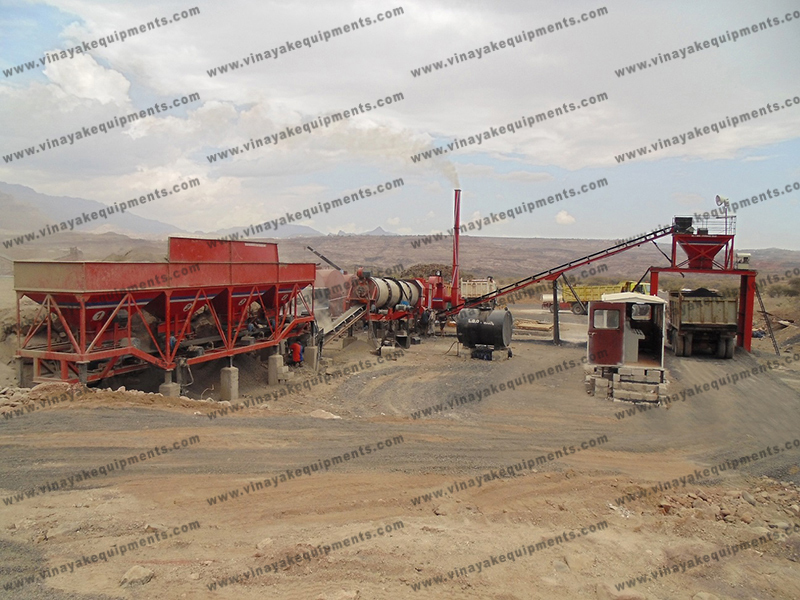 Vision: - To be a perceived pioneer in the supply of quality equipment to the whole customer of asphalt with a reputation of continuous devotion to services that exceeds the necessities of our clients. Mission: - To procure projects at aggressive pricing provide safe working conditions and Convey top notch work inside sensible time allotment. I have only had dealing with them for the last number of years though on each occasion they had never let me unresponsive, very easy to work with always available what a time and client services is extremely good. 2. A great customer experiences the flexibility and speed of response from the expert staff as well as quality of the products.